Exclusive pictures, official videos and the latest info about Justin Bieber, teen star of YouTube turned Major label recording artist. CLICK BELOW TO CHAT WITH JUSTIN BIEBER FANS!! To advertise on the Official Justin Bieber Fan Site, please send us an email. Are you Justin Bieber's #1 FAN? Love the kidrauhl and justinbieber YouTube channels? 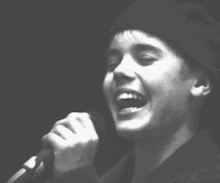 Can't get enough of Justin's incredible voice and talents? Want to get the scoop on Justin Bieber before anybody else? Add us to your bookmarks by pressing Control-D (Windows) or Command-D (Mac). Or, if you're a #1 fan, consider making the #1 fan site your home page by selecting your browser preferences and clicking the "set to current page" button. exclusive Images, Ringtones, Desktop backgrounds, and HD video clips. Keep up to date with this official site, and be the first to know when Justin will upload his next video. In the meantime, check out Justin's playlists below, and visit his channel by clicking his picture on the right. Justin Bieber biography! Buy it! What? You're Justin's #1 fan but you HAVEN'T READ THIS BIOGRAPHY?? 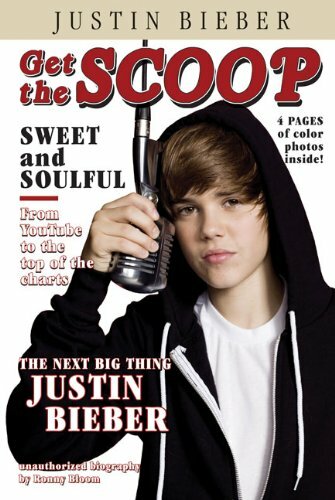 Get the first ever full Justin Bieber biography in this book by Ronny Bloom, "Justin Bieber (Get the Scoop)". 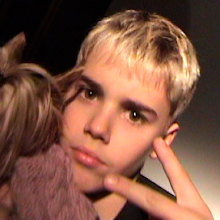 Read about how Justin was raised in a small town in Stratford, how he made enough money busking to take his mom on a vacation, how his videos were found by a production company that worked with him to build his accounts and attract the attention of his future manager and label, and learn new trivia and facts that only #1 Justin fans know! Click below to buy the biography on Amazon and Get the Scoop! Only 5 bucks!! Buy Justin Bieber Tickets 2010!! So as you know Justin's North American tour is pretty much SOLD OUT!! Still asking yourself "Where can my friends and I find and buy Justin Bieber tickets??" You've come to the right place! The people over at Fanxchange.com still have some left. Click the links below to buy your Justin Bieber tickets online now!! NEW WEEKLY POLL! Favorite song from Justin Bieber's My Worlds? Vote for your favorite song and click "Show Results" to see the most popular songs right now by Justin Bieber. Poll updated with a new question every week! Bookmark the Justin Bieber Fan Site and visit often to catch up on the latest details! JUSTIN BIEBER "EENIE MEENIE" cover by Lauran Irion with lyrics! Updates!! JUSTIN BIEBER "EENIE MEENIE" cover by Lauran Irion with lyrics! Check out this incredible cover by singer/song-writer Lauran Irion! Post your thoughts in a comment below the video! 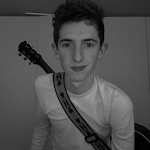 Have YOU made a cover on YouTube you'd like us to post on the fan site?? Send the link to the FansOfJustin channel on YouTube and we'll share it right here with thousands of other Justin Bieber fans on the biggest fansite of Justin ever made! WEEKLY POLL: Favorite song from My Worlds? WHAT?? You haven't subscribed to FansOfJustin yet? What are you waiting for? Pictures of Justin Bieber!! NEW!! Lyrics - Where Are You Now?